Good riflescopes are hard to find. This is a universal truth. 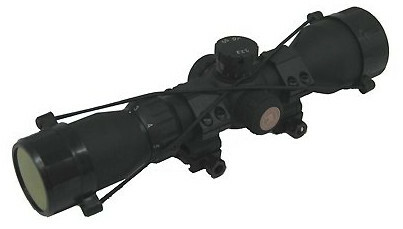 However, a good riflescope is necessary if you are going hunting or for a competition. Thankfully, there’ s a wide choice of scope and scope manufacturers. Osprey, for one, has been around since 1995, and with over 100.000 units in the field, it can be said that their scopes have been used and tested in harsh environments and in the war zones of Afghanistan and Iraq against the native military and gangs. And the scopes have passed all of the tests with flying colors. They are now approved for use by the Navy SEALS, our troops in hotspots all over the world. Today, the hunter, target shooter, and First Responders can enjoy those same scopes for their needs as well. You can get the Osprey quality and precision for your weapon, whether an AR or another type of rifle. We are going to highlight 3 scopes that cover a range of uses, from hunting to tactical, anything your weapon might face. You can select the one that suits your needs best. When you have to hit what you aim at, this is the scope you want. Simple to use, just line up the dot and you will have your hit every time you shoot. This ring-mounted scope gives superb accuracy at close or long distances and you wouldn’t have to worry about going out into the field with it as it is shock and water resistant. The illuminated reticle means you can see the dot no matter what the lighting conditions are. Comfortable and designed for eye relief. Adjusting target possible before taking a shot. Targeting possible for extended periods. Perfect focus remains. Here is the AR variant of the Osprey 4-16 X 50 Tac scope and it has all the specification you want from a good scope. It fits the MIL-STD-1913 i.e. Picatinny/Weaver mounts and requires you know them well to mount this scope for maximum accuracy. However, once you have it mounted and ranged, you can expect accurate groupings at over 500 yards with the right weight barrel, stock, and trigger configuration. Heavy recoil might knock the alignment out. Aligning might be difficult with some rifles. All Osprey scopes are made from quality components. Japanese optics and coatings ensure that you have a perfectly clear sight picture. This Tactical scope gets your grouping into the black and makes sure you can make your hit at close and intermediate ranges. The 3-9 X magnification brings what you are shooting at into a ranged picture that ensures a hit where you want it. Making a good shot in hunting and target shooting means bringing in a trophy or dinner, but in a combat situation, where there’s no second place winners, a good scope can save your life. This is why the military will always appreciate a good scope. Many professionals go with Osprey. Their quality and ruggedness meet or beat MIL-SPEC standards. Today, you’ve seen the 3 best Osprey scopes. the first one would be an ideal counterpart for the M-14 and its variants since it guarantees the tactical dot and shoot method. At ranges of 1.000 meters and beyond, you will need a heavier bullet. You may prefer one of the other two if you are a hunter or need a close-in tactical weapon. In any case, Osprey will give you the best scopes, whether for sport, hunting, tactical use, and for pleasure, or as part of your job.